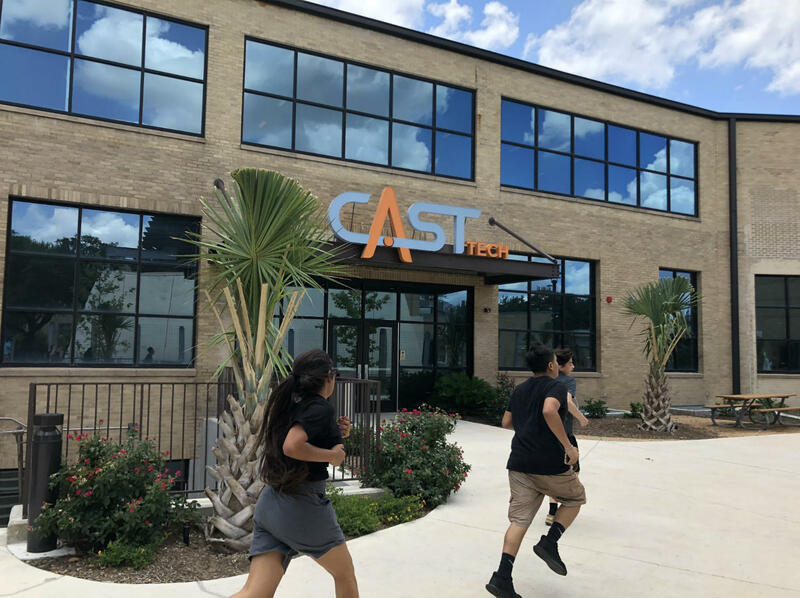 Students run past CAST Tech High School, one of San Antonio ISD's new specialized schools. San Antonio is joining more than 60 other cities collaborating to better prepare students for careers in science and technology. The city has been selected to be a part of a national organization called STEM Ecosystems. TPR's Camille Phillips reports on San Antonio joining the STEM Ecosystems. 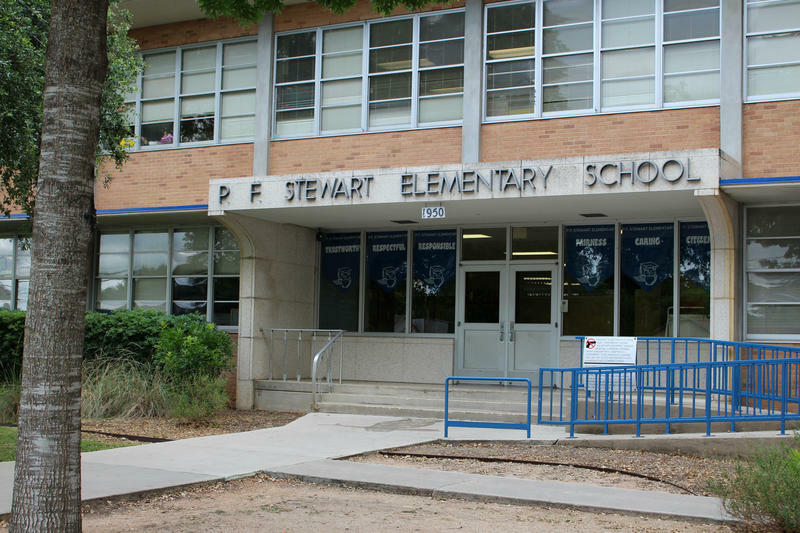 For the next two years, a STEM Ecosystems field manager will help San Antonio schools, museums and businesses work together for maximum impact. Ravae Shaeffer, of the Region 20 Education Service Center, said the field manager will use their expertise to help the region connect in-classroom and out-of-classroom learning opportunities. She said the goal is for all students — not just gifted students or students in specialized schools — to have hands-on practice developing problem-solving skills. “We want them to experience math, science, social studies in the real world. ‘Why do I need to learn this?’ That is the question that kids ask every single day,” Shaeffer said. Rudy Reyna, of the San Antonio Hispanic Chamber of Commerce, said San Antonio’s ecosystem will include art, and leverage the experience and research of the other cities participating in STEM Ecosystems. Hispanic Chamber of Commerce CEO Ramiro Cavazos said there’s no funding associated with joining STEM Ecosystems, but it could help San Antonio compete for federal grants, and the designation also helps attract businesses. San Antonio Mayor Ron Nirenberg agreed that the designation will be a selling point. Joint Base San Antonio-Lackland is home to a little-known Department of Defense program called Starbase Kelly. Its participants are kids between the ages of 10 and 12. They design rockets, build 3D models and conduct experiments in order to gain exposure to STEM concepts.